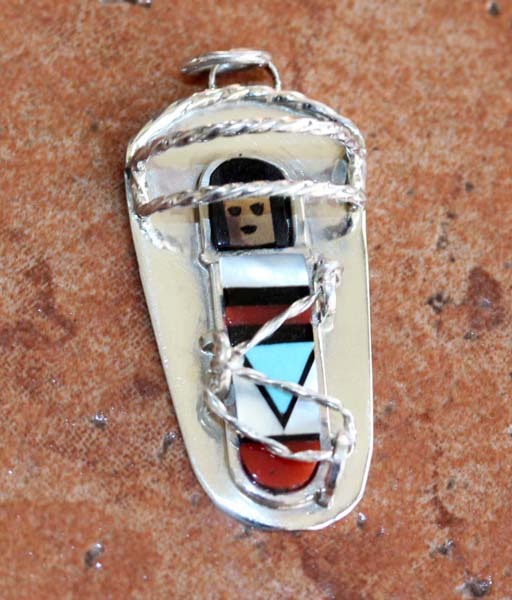 Zuni pendant. It is made from sterling silver and multi-stone inlay. The pendant is about 1 5/8" in length (including the bail) and 3/4" at the widest point. Each shipment comes with a free gift box!! !